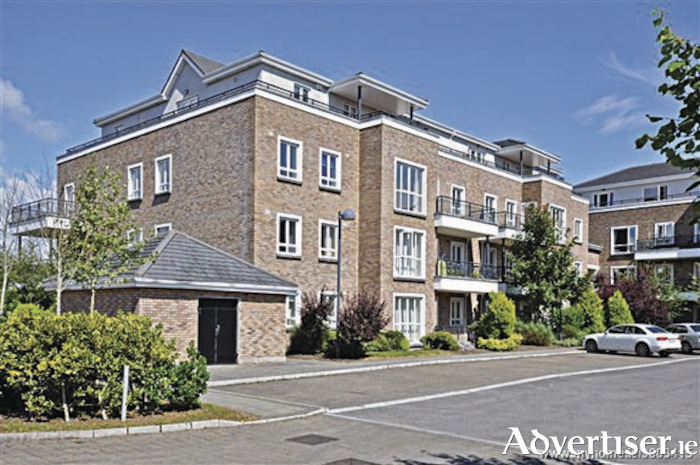 O'Donnellan & Joyce is offering for sale a wonderful two bedroom apartment located in the popular and sought after development of Gort na Coiribe on the Headford Road, Galway. This estate comprises a mixture of homes in two residential areas, known as Gort na Coiribe and Dun na Coiribe. The development of Gort na Coiribe is located to the front of the estate and comprises a mixture of two and three bedroom apartments. No 201 Gort na Coiribe is a spacious two bedroom residence. The property has a spacious entrance hall with main bathroom and two storage cupboards, large open plan kitchen/dining/lounge room leading on to a private balcony, and two bedrooms with master bedroom en suite. Situated adjacent to Terryland Retail Park and the Galway Shopping Centre, and within a leisurely stroll of Galway city centre's amenities and services, this property has all that one would desire on its doorstep. The property is also within walking distance of NUIG and UHG. This property would be an ideal residence for an owner occupier or a gilt edged residential investment due to its close proximity to all facilities. Viewing is highly recommended and is guaranteed not to disappoint. The BER is C3. Asking price is €260,000.